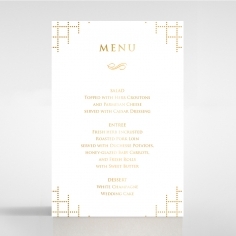 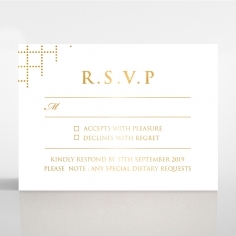 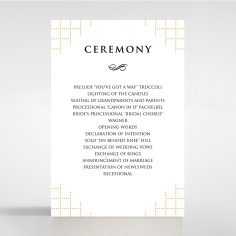 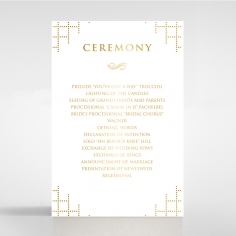 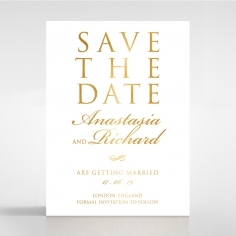 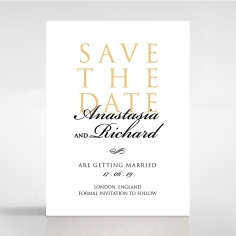 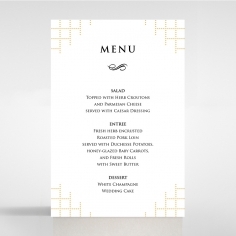 This wedding invitation is sure to set the tone for your outdoor wedding or any intimate affair with its minimalistic design, but elegantly impressive appeal. 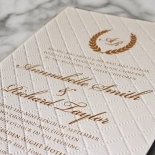 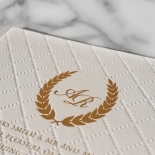 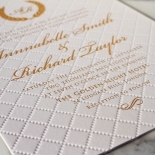 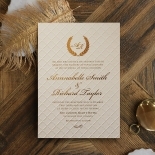 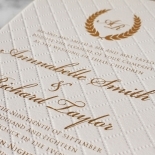 Crafted using premium German white cotton card stock, this invite features a quilted background to form a canvas that is intricately presented through letterpressing techniques. 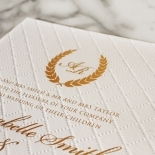 This canvas is then iced with luxurious and elegant typography along with a monogram at the top using glossy gold foil that is hot stamped onto the stock. 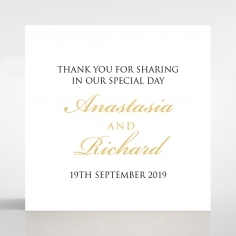 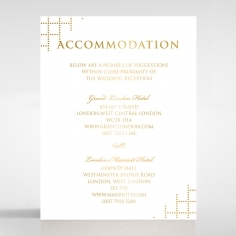 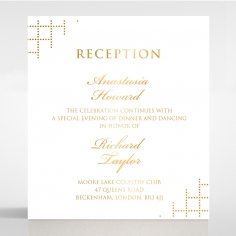 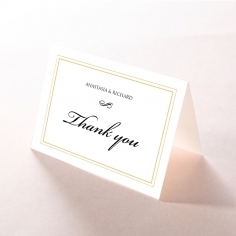 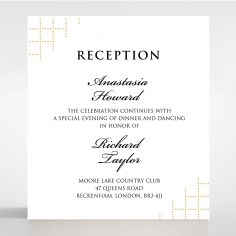 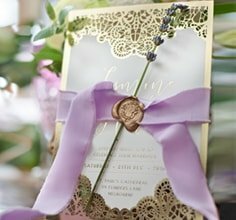 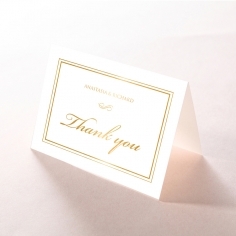 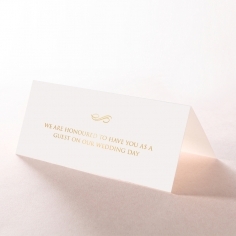 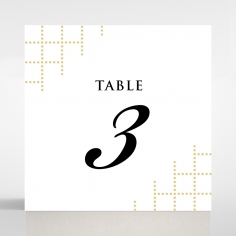 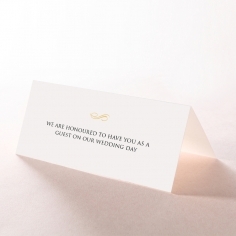 Personalising this gorgeous stationery is a breeze as you can opt for silver, rose gold or bronze foil, select different font styles, custom the monogram and even alter the wording as well as the layout of your message. 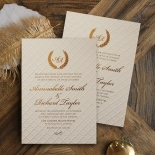 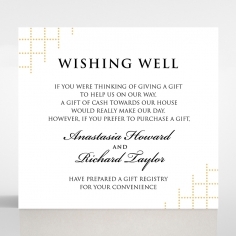 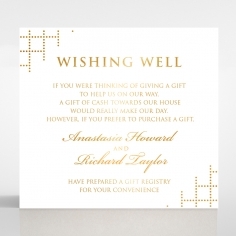 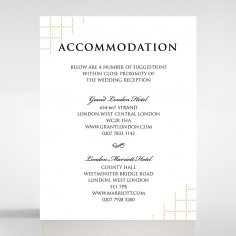 Complete this invitation, by adding enclosure cards at an extra cost to insert into the complementary white silky lined envelope.